Oh my, my! I have been so behind with my challenges in this amazing group on SplitCoast Stampers. Every month we have a new challenge theme, using existing “stuff” from your craft room. I actually picked the March theme, which ironically was “do something for YOU” and couldn’t even find time to get to it! Story of my life! But, the last week or so, I have been finding some coloring time and was working on catching up on that ridiculous kit inventory I have stashed away in my craft room. 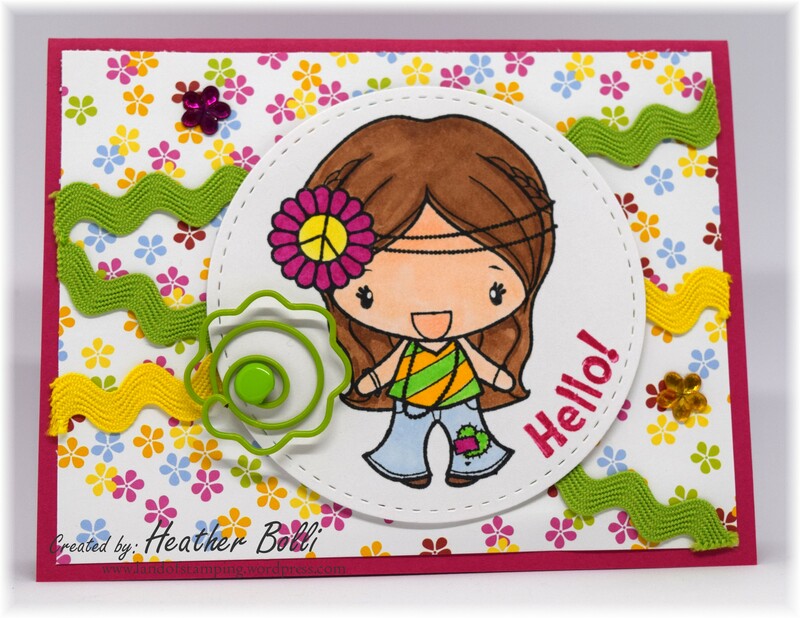 I found this beautiful Greeting Farm kit, which is one of my favorite stamp companies. Plus, it was paired with bright happy paper! So, I decided to use it for my Challenge Your Stash March challenge. After all, getting to these wonderful kits has long been on my crafting “wish” list. The other great thing about this card kit is that it allowed me to pull out my new Prickley Pear Stamp set (Zipper Dies), which I’ve been dying to use…still haven’t used the actual zipper dies, but the matching stamp set is a start. 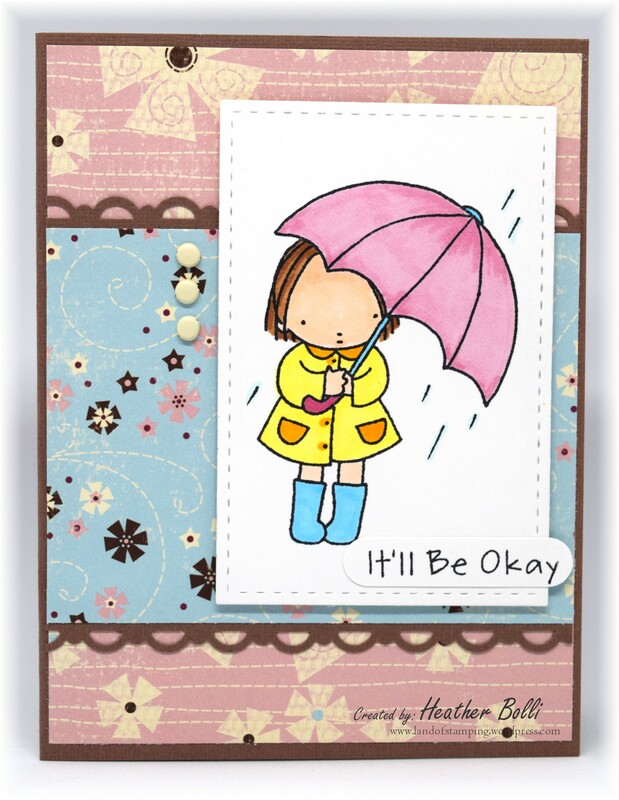 And, the April theme was April Showers, which happened to also work with one of the card kits in my box! So, here she is. And, Claire was playing in the craft room too and just happened to be using the same theme. She often takes some of my extra images for her creations, and this was an extra from my Mystery Image swap. 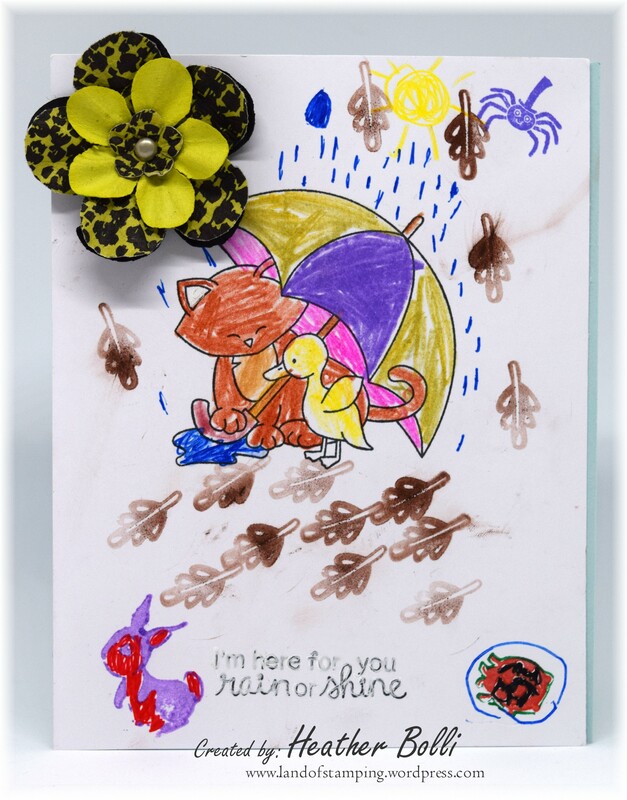 She is getting very good at putting little details on her card, and playing with color. Don’t you love the rain she added? Challenges appear to be a great way to get working on these kits, so hopefully I’ll find more ways to use them.